Set of two beautiful, soft-handle, sateen Handfasting Strips. Specially made in any tartan for that special day. Nothing comparable on the market and so much more than just two lengths of tartan. Your design miniaturised, re-digitised for best representation. Two lengths 145cm x width 5cm (57 inches x 2 inches). 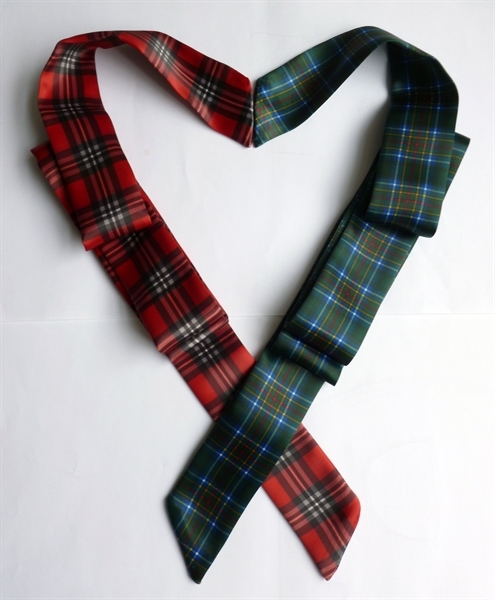 Available in 2 SINGLE LENGTHS OR JOINED.Please call us on (+44) 01764 670 090 or e-mail us here about which tartans you require for your handfasting ceremony, or other customisation. Made in Scotland. Made to order in Scotland, allow 4-5 weeks.